Last year English Heritage celebrated its centenary... or was it really its 30th anniversary? After all, Michael Heseltine set up the quango as recently as 1983 to safeguard the best of England's built legacy, a function previously entrusted to his Department for the Environment. Then again, what about the 120th anniversary of the appointment of the first Inspector of Ancient Monuments? Or the first Ancient Monuments Protection Act, which became law in 1882? 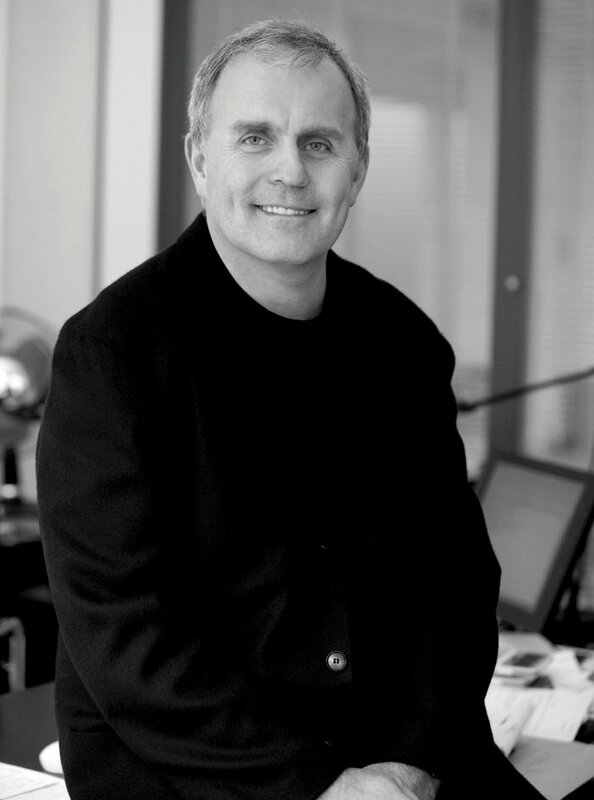 At his London offices in a magnificently gothic late-Victorian complex designed by Alfred Waterhouse, the youthful and energetic chief executive of English Heritage since 2002 Simon Thurley clarifies: the 1913 Act 'establishes the power of the state to make a list of historic properties that are worthy of protection, and it gives power to government to make a collection of buildings for public benefit and education'. Although still 70 per cent state funded, English Heritage also has income from a membership of 750,000, visitors to 420 sites (mainly free to enter, but there are gift shops, cafes and such like) and donations. In July, the Government awarded it £80m to spend on urgent repairs and to get plans moving for a selffinancing charity to continue looking after its national heritage collections, which range from palaces to prehistoric circles and includes an archive of 10 million photographs, plans and surveys. 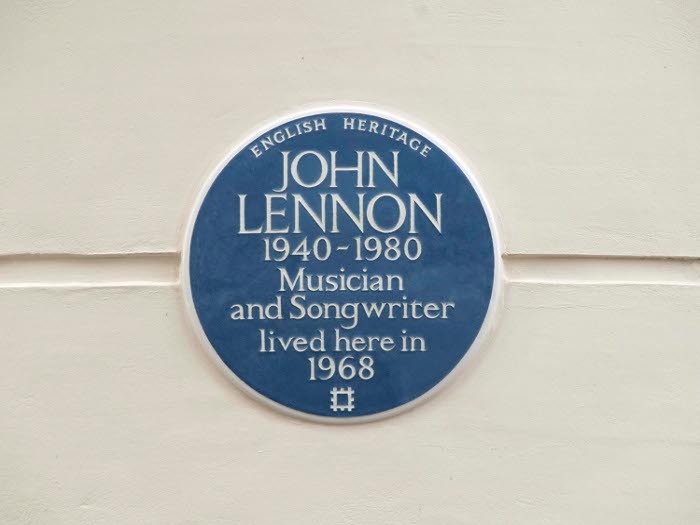 English Heritage advises government on listing historic buildings (see page 118) and planning applications, as well as issuing grants, managing maritime archeology and erecting London's blue plaques. Not least, the organisation connects the public to England's historic environment. 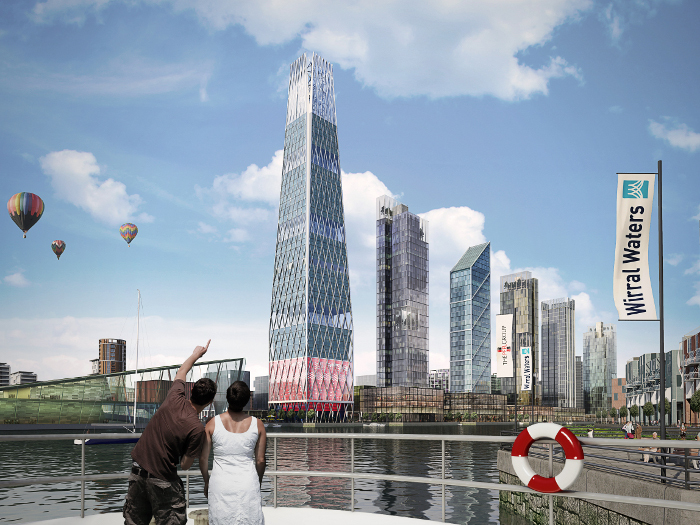 A similar argument brewed recently with the Peel Group's Liverpool Waters plans to redevelop docks just north of the city's UNESCO-designated World Heritage Site, with a cluster of skyscrapers. Thurley contends that Liverpool 'has to decide what they want... the big badge of the World Heritage Site, or a massive great thing next door, which many people feel will detract from that badge that they have. They can't have both. We are just astonished that the developer feels that it needs to press a scheme which is unsympathetic'. In any case, he muses that selling even two of 'the sort of chi-chi two-bedroom flats in those blocks will be a real struggle, let alone 2,000 of them. I think we're in a little bit of a cloud cuckoo land here with the whole of this big scheme'. The Government approved the plans in March this year. Thurley recognises Liverpool's need for investment and jobs, but points out that Wirral Waters, Peel's almost-mirror scheme across the Mersey, is something 'which we felt content with... they can start building tomorrow'. English Heritage and UNESCO were in tune about Liverpool, but Thurley admits that they haven't always seen eye-to-eye. 'UNESCO has to realise that it's not like dealing with a country where conservation is seen as an impediment,' he comments. The UN organisation is not the only difficult team-mate that English Heritage has had. 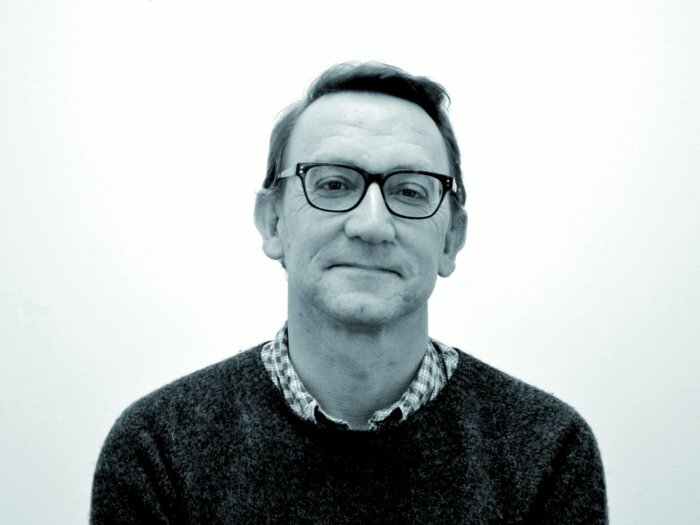 While he's 'very pleased' with the current Culture Minister Ed Vaizey, to whom listing recommendations go, the previous minister Margaret Hodge was someone 'who I got on with personally extremely well but I did fundamentally disagree with her almost visceral hatred of British brutalism of the Seventies'. Post-war buildings account for barely 650 of the total 374,000 listings, but Thurley is passionate about British brutalism in particular. He feels the Seventies was his era, 'when I had hair and wore stacked shoes'. He's wanted to 'do a dance' for every brutalist building listed, and he talks of the 'extraordinary emotional effect' they produced. He is bitter about Birmingham Library, completed in 1974 (Blueprint 330), which English Heritage thrice recommended for listing to no avail. 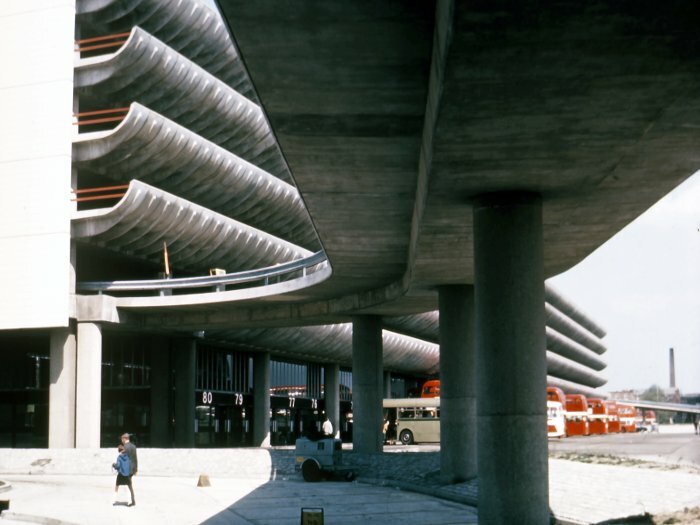 'A tragic story' is how he describes its architect, John Madin, 'who bestrode the second city of Britain, whose designs, buildings, and town planning skills were admired around the world... He died last year knowing that not one single building will be standing in five years' time'. That's a slight exaggeration, but point taken. Thurley laments similar cases such as Owen Luder -- 'his car parks in Gateshead and Portsmouth: gone'. Despite the recognition of (listed) Centre Point's brilliance, he worries that even 'Richard Seifert could easily fall into the Madin category'. To those who dismiss brutalist icons as carbuncles to be rid of, he cites Victorian icons that earlier generations felt similarly about: St Pancras ('a building that was listed to the complete horror of British Rail and half the public', he notes) or Manchester's inner-city warehouses (their listing provoked 'accusations that this would consign Manchester to be a museum, it would fossilise Manchester'). 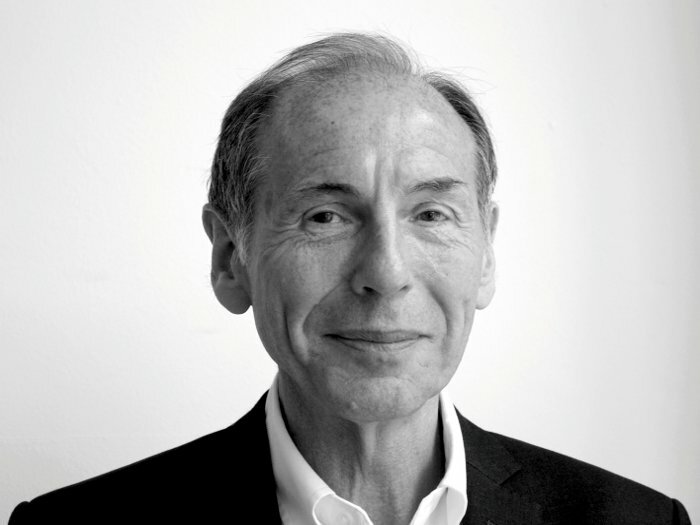 Tastes change and, Thurley says, 'it is our role partly to follow fashion, but partly to lead fashion'. He wants future generations to 'experience some of the awe that you feel when you confronted by British brutalism in the Seventies'. 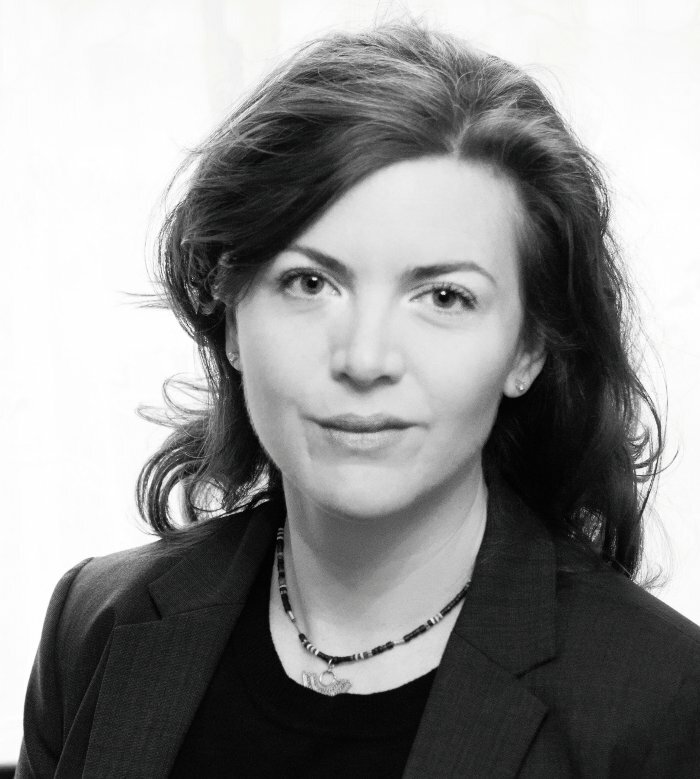 Emily Gee started at English Heritage in 2001 as a listings inspector, rising to head of designation in 2011. She advises government on what of England's heritage deserves protection. 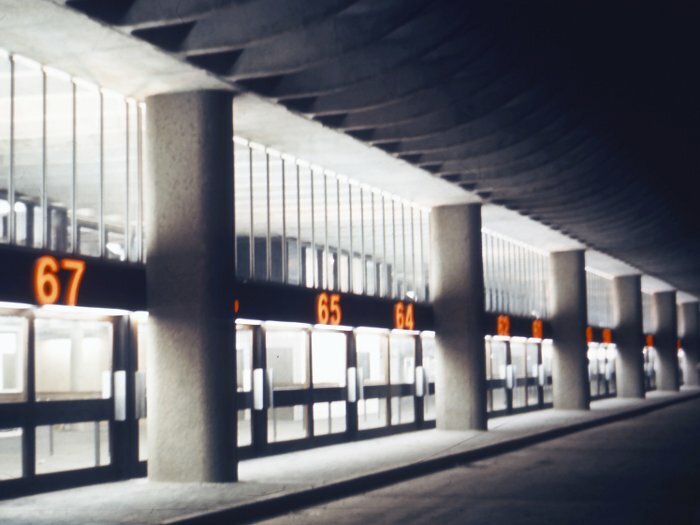 Brutalism in particular seems to provoke public disdain. Gee considers 'that might have been true a few years ago, but there has been a real shift... The Fifties and Sixties now have a mainstream appeal, and the Seventies and Eighties are becoming hip'. When listings for the period are recommended, she thinks that 'most people of all backgrounds and interests are now intrigued, or even excited, rather than aghast'. She honours The Twentieth Century Society for leading the way in this area and also highlights English Heritage's publication record in it. 'All historic buildings were brand new once,' she adds. Gee's proudest modern listing is the Lloyd's Building, for which EH received a thank-you letter from Richard Rogers. Most disappointing was that 'we did not have time to fully assess Terry Farrell's TV-am building in Camden Town (1983) before it was much altered. At least the egg cups on the canal elevation are still there'. Lord Burlington's Chiswick House (1729) established the Palladian style in England and, with its park by the English landscape garden pioneer William Kent, it has one of the most idyllic settings in London. Introducing into the grounds a new cafe with a capacity for 80 and additional seating on an apron outside was never going to be straightforward, despite its seclusion in trees. 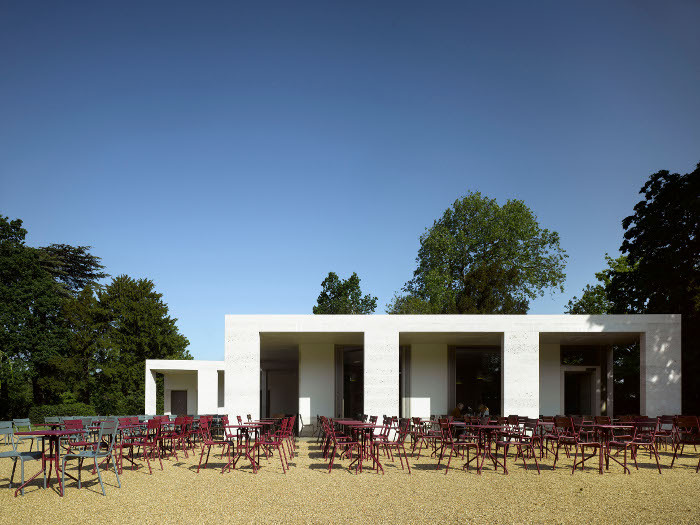 The white pavilion, fronted by a stone arcade referencing Palladian and more recent Italian architecture, was designed by the practice Caruso St John and opened in 2010. It is contemporary and timeless but, as partner Peter St John recalls, the project did not start like this. 'When our initial design for the cafe, with a large pyramidal roof of stone tiles, was rejected by English Heritage at quite a late stage we had to start again from scratch,' he says. 'But the commission was such a privilege we put as much imagination into the second design as the first and, ultimately, I think the second design was better. 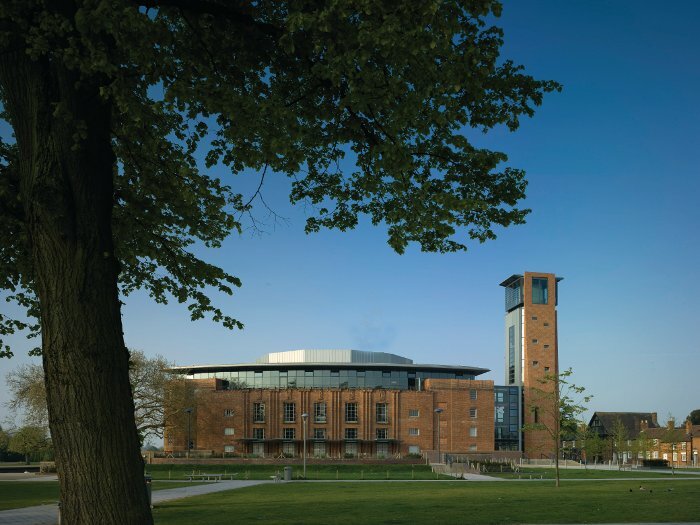 Elisabeth Scott designed the Royal Shakespeare Theatre (RST) in Stratford-upon-Avon, a Grade II*-listed 1932 building in an art deco style. 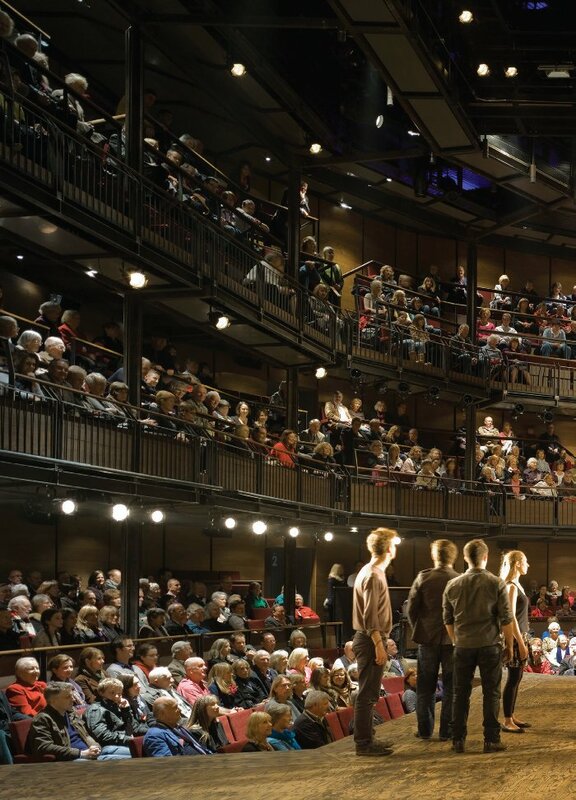 But, with out-of-date facilities, including a cinema-like auditorium, English Heritage recognised that major structural intervention was needed to give it Shakespearian stage intimacy and contemporary access. 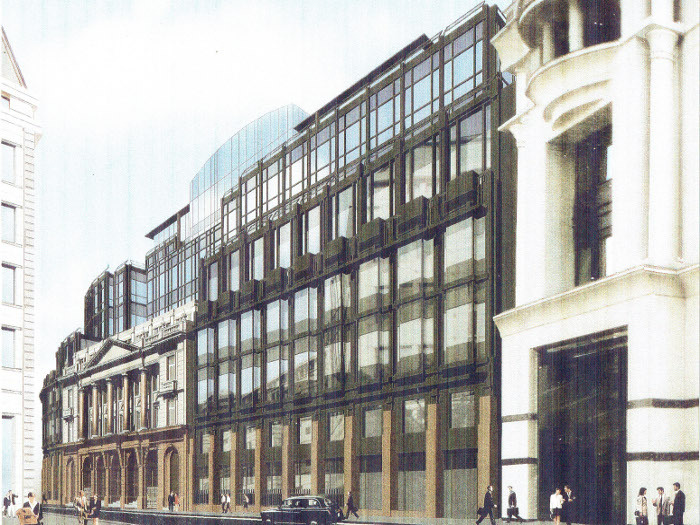 Bennetts Associates won the competition to transform the RST, and its £113m remodelling started in 2007. 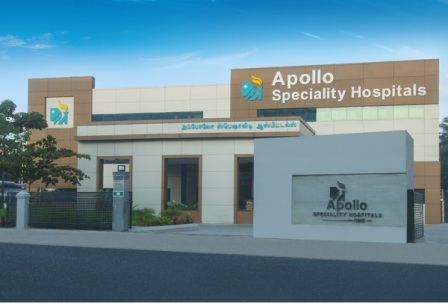 This delivered new facilities, including an auditorium in a galleried courtyard with a thrust stage, and a 35m-high tower. 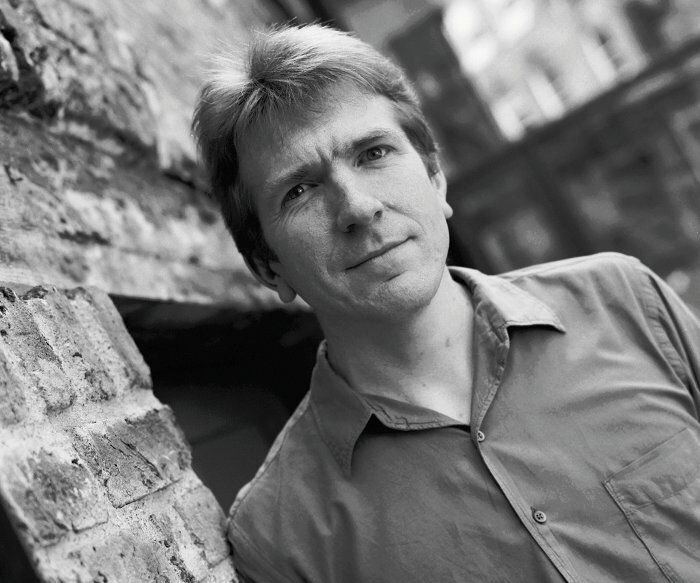 Simon Erridge, project director at Bennetts Associates for the RST, recalls: 'Our working relationship with English Heritage began immediately after our competition win, with the commencement of regular workshops with the EH case officer and the local planning authority, which were to continue throughout the design process. 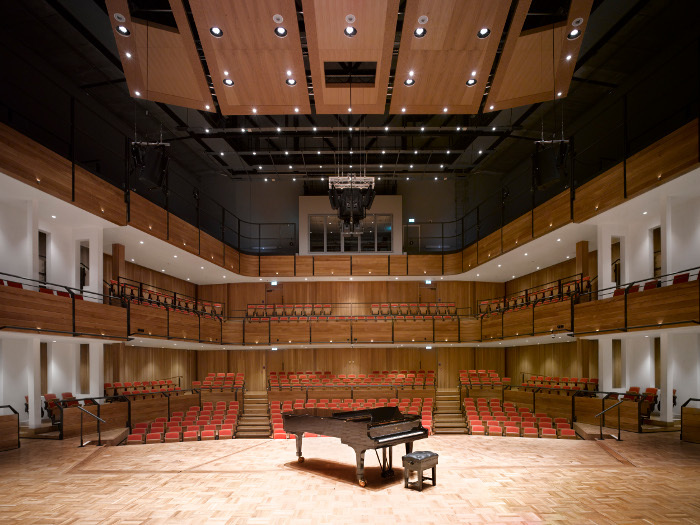 'Fitting the new auditorium within the existing building proved technically difficult and, as a result, our design did challenge the initial EH guidance in one or two areas. To our great relief, EH supported our radical rebuilding proposals which included the new auditorium, foyer spaces and a new viewing tower (an echo of a long-lost, 19th-century original), encouraging a bold approach where appropriate, balanced by the reconstruction of rediscovered elements such as the original 1932 riverside facade which had been hidden from view by later extensions. 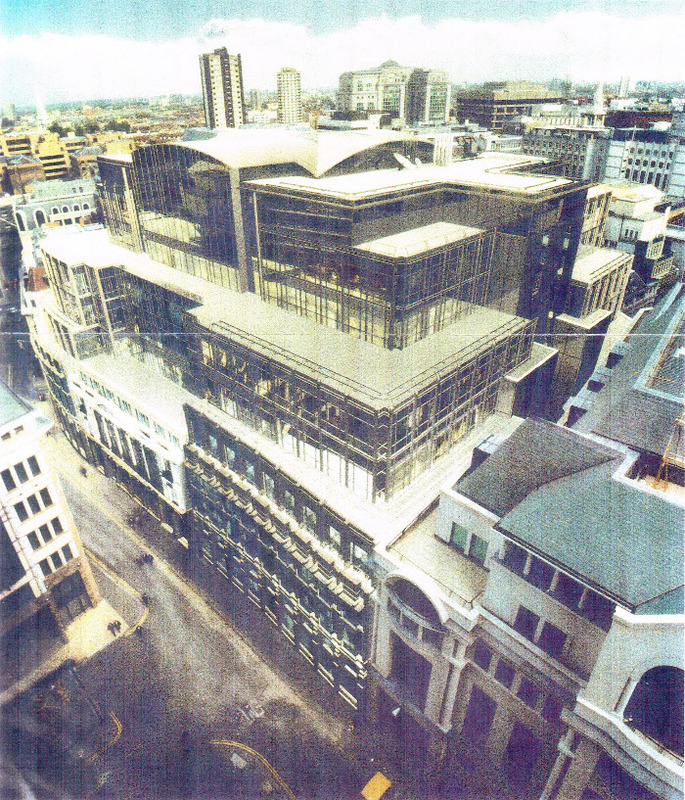 With works from the Aviva Tower (1969) to the Stock Exchange Tower's glassy refurbishment (2007), GMW has been a major architectural player on the City of London's modern cityscape. The practice has worked with English Heritage on several City projects, including the Grade II*-listed 41 Lothbury by Mewes and Davis, completed in 1926. There, major elements, including the banking hall, original rooms and facades, were retained but new elements, such as office floors and an atrium for natural light, were introduced. 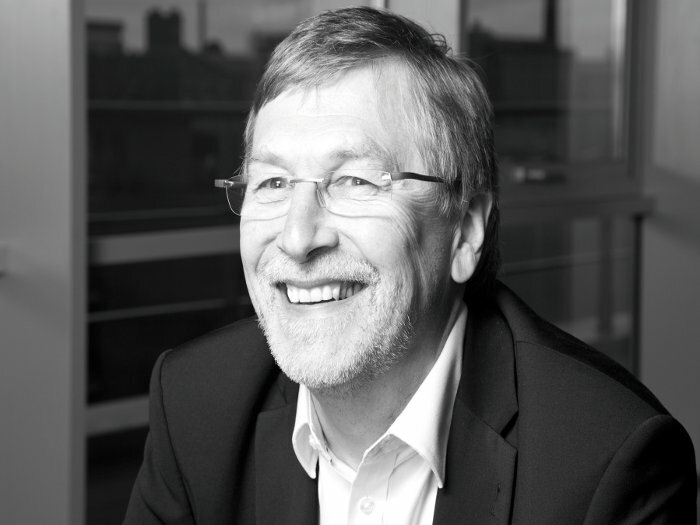 Terry Brown, then a partner at GMW, notes the 'strong trace of history' in the project, which 'offers a characterful alternative to the super-efficient quality of totally new-build schemes'. Meanwhile, developer Trafalgar House bought the site and GMW secured planning permission for a major new block which, as Brown explains, 'met the requirements of English Heritage by retaining both the principal parts of the main facades and the double-height trading hall... But Trafalgar, which was taken over around this time by Kvaerner, became convinced that the three storeys of the office building were compromised by the imposition of the trading hall'. Subsequent discussions with English Heritage resulted in agreement to remove the last remains of the old Baltic building and abandon any kind of reconstruction, but it wanted an international competition for a new building. 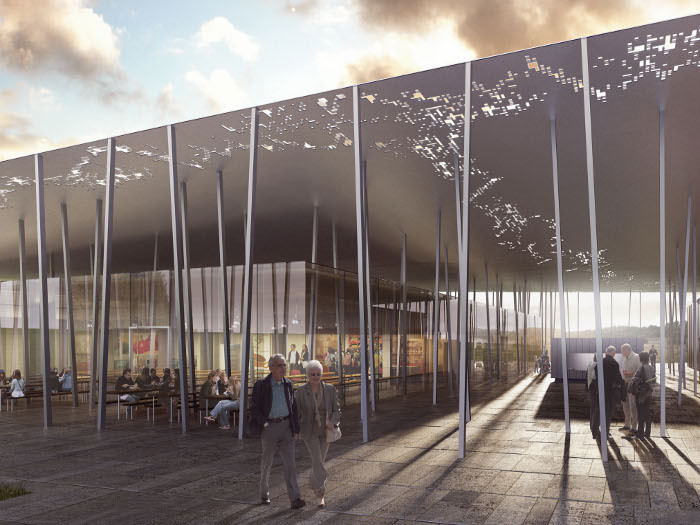 Jean Nouvel, Michael Hopkins, Norman Foster and GMW submitted entries. 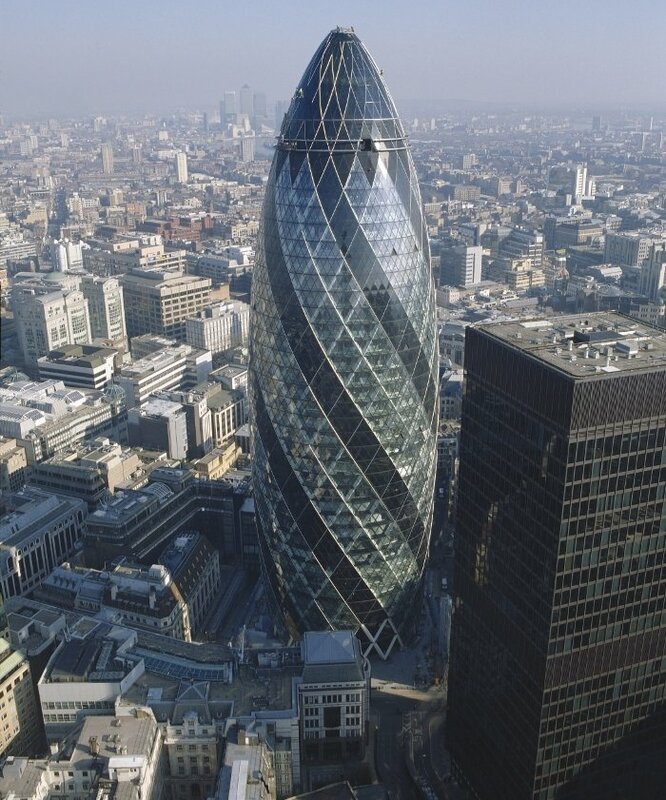 The winning design by Foster + Partners was approved by English Heritage, and the result, since 2004, at 30 St Mary Axe is the iconic Gherkin. 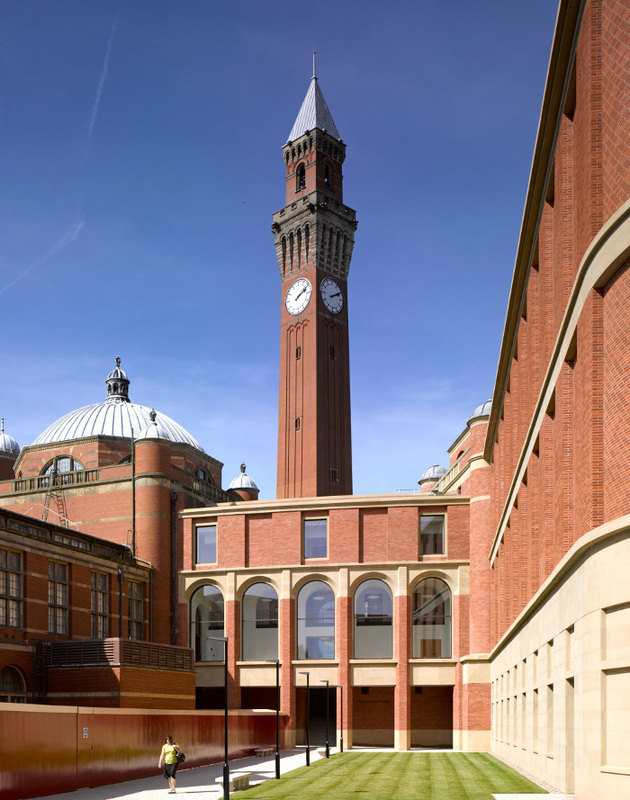 The Bramall Music Building at the University of Birmingham's Edgbaston campus sits within a Grade II-listed red-brick crescent of buildings beneath the 100m-high Joseph Chamberlain Memorial Clock Tower, all designed by Aston Webb and Ingress Bell and finished in 1909. The new 450-seat venue is a 21st-century reinterpretation of the original architectural vision from 1902. It opened in late 2012, completing the semi-circle of buildings, and also contains rehearsal, research and teaching facilities. 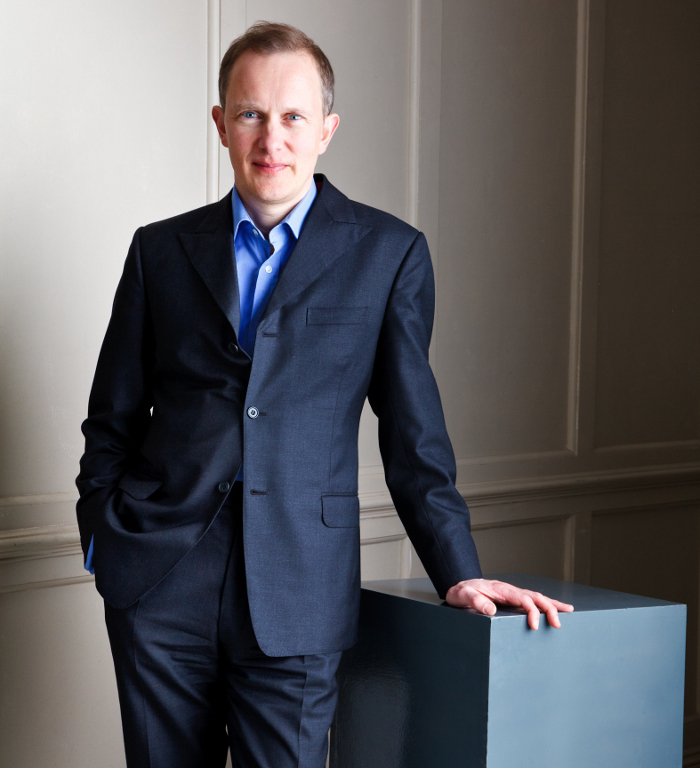 William Schofield, former associate at Glenn Howells Architects, said his practice 'recognised the importance of consultation with English Heritage and the Birmingham City Council's planning and conservation team even before putting pen to paper. A further 10 months of design development in consultation with English Heritage informed the design and ensured an unhindered planning process'. English Heritage came from the movement that sprang from the need to protect Stonehenge. 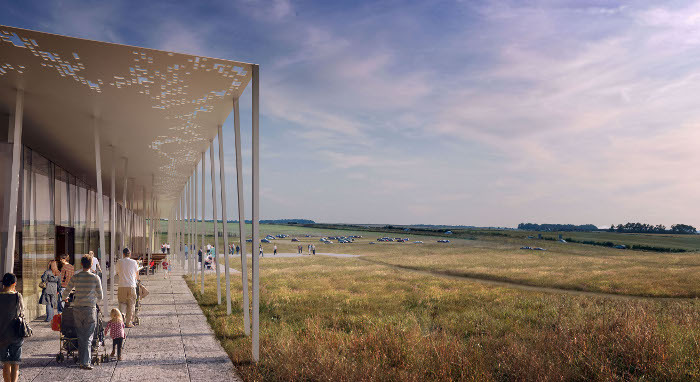 In December, approximately 4,500 years after the giant sarsen stones were brought to the site of a circular enclosure made even earlier, English Heritage's striking and sustainable new visitor centre at Airman's Corner, just over a mile away, opens to the public. Designed by Denton Corker Marshall (DCM), it is part of a £27m transformation of the larger site. The visitor centre is built on a concrete raft that protects the archaeologically rich soil beneath it. Two main rectangular volumes or 'pods' lie underneath a subtly undulating metal canopy, 78m wide and 36m deep, which is perforated around its edge with a motif of random rectilinear shapes (allegedly, they don't codify a hidden message). The 211 thin, slightly off-vertical steel columns that rise from the ground to touch it are as much to prevent it from being blown away as to support it, and echo neolithic timber posts, the traces of which are nowadays just holes. One volume is a glass box containing cafe and retail, while the other is clad in chestnut timber, containing the exhibition centre. At the heart of the latter is a drum-shaped room in which projections based on laser scans will emulate the experience of being inside Stonehenge's inner circle (to which mass access is impractical). The display has been designed by Leicester-based Haley Sharpe Design, which specialises in visitor facilities and has a portfolio of projects from Death Valley to the Liverpool Museum. A corner of the exhibition centre will present fringe theories about Stonehenge -- they're not yet specified, but acoustic, psychogeographical, paranormal or even extraterrestrial theories abound. Between the two volumes is a small zinc-clad ticket booth. Land Rovers pulling trains of visitor carriages will set off from behind the centre. Their capacity sets the daily visitor numbers, allowing as many as to 6,000. On the solstices, access will be free for pagans; 20,000 usually emerge at the summer solstice. A car park is sited near the centre and ancillary buildings are tucked behind a line of trees. Next Easter, an adjacent 'neolithic' village opens, built as authentically as possible based on archaeological research by Mike Parker Pearson. Further afield, the Salisbury & South Wiltshire Museum opens a £2.5m exhibition next spring focused on Stonehenge's construction, while the Wiltshire Heritage Museum, at Devizes, opened a new £500,000 gallery in October about its use. The old visitor facilities are a parking lot next to a tight clutter of makeshift kiosks offering neither exhibition nor interpretation, from which people are funnelled through a concrete culvert built in 1986. All this will be dismantled by next summer. The notorious section of the A344, a road that came within 80m of Stonehenge's centre and almost touched its peripheral Heal Stone, is being grassed over. Unfortunately, the A303 is another matter. This major artery to the South-west channels an endless stream of traffic just 200m south of Stonehenge's stone circle. Plans to tunnel it have been on and off since 1995. Thurley says the new visitor centre 'doesn't compete with the stones and doesn't look like a Fred Flintstone building'. Aping ancient stone or wood construction would have Disneyfied the place, but DCM's design makes no such pretence. Nor does the building aim to be timeless. The light, shiny canopy with digital perforations makes it clearly contemporary. It is also ephemeral, both in how it is designed to leave no trace if it is ever removed and in its low, transparent form. That defining canopy is like a great sheet of aluminium foil settled on the landscape, and one day, like all the civilisations that Stonehenge has seen come and go, it might just drift away. 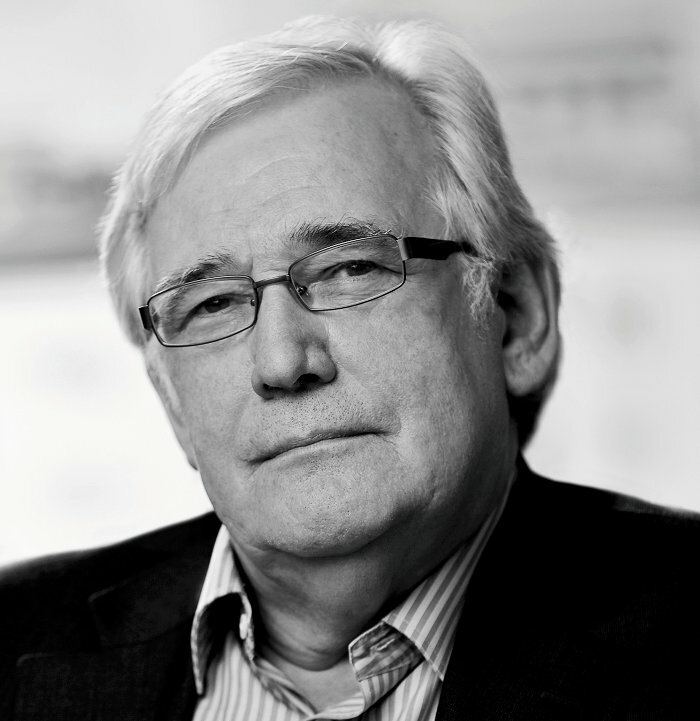 John McAslan + Partners ( JMP) has a massive portfolio of work on historic buildings. Paddy Pugh is now its director of planning and conservation, having taken over these responsibilities from Pauline Nee in 2012. Curiously, Pugh made the move from English Heritage, where he convened its London advisory committee. 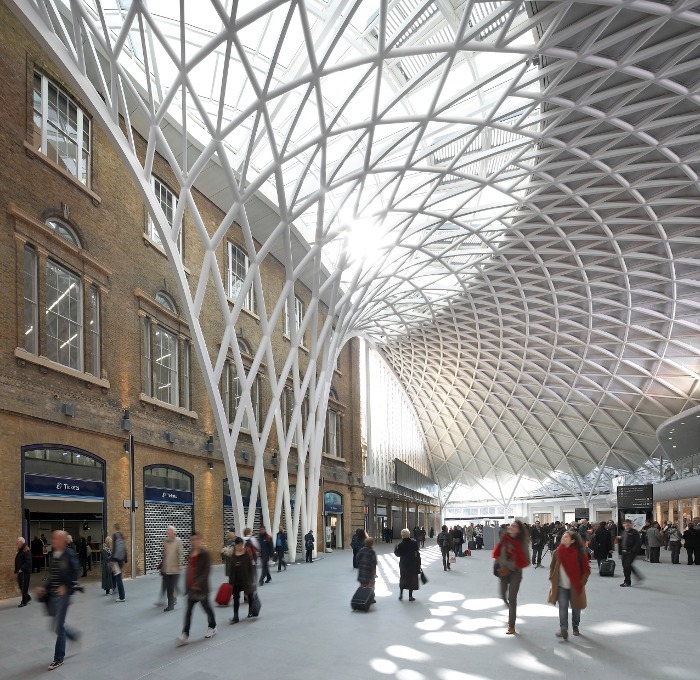 McAslan's £500m transformation, completed in 2012, of Lewis Cubitt's 1852 King's Cross Station (listed as Grade I), included not just restoration but a new semi-circular concourse under a steel canopy engineered by Arup. The project required Pugh's English Heritage committee to make 'tricky decisions' -- for example, about the removal of the 1892 Handyside bridge over the station's platforms. That has now been replaced by a glass bridge with lifts. 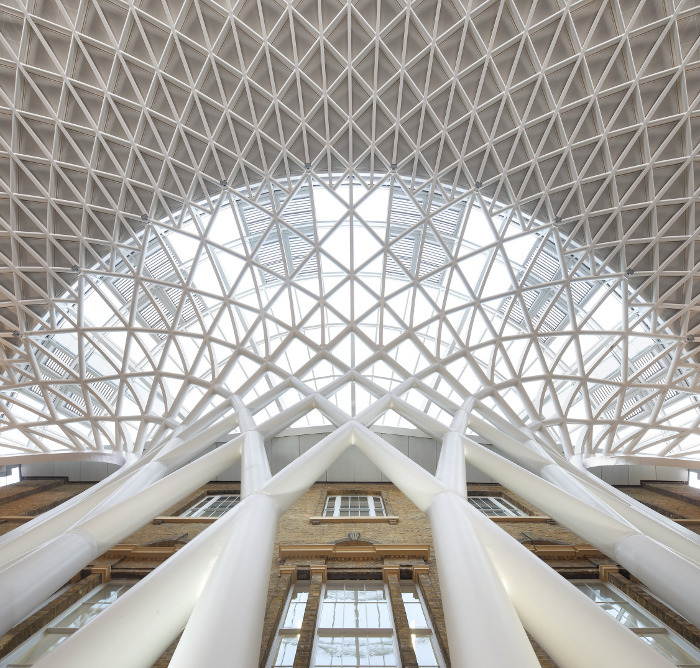 'English Heritage was finally persuaded that, for the station to work effectively, it was necessary,' comments Pugh. 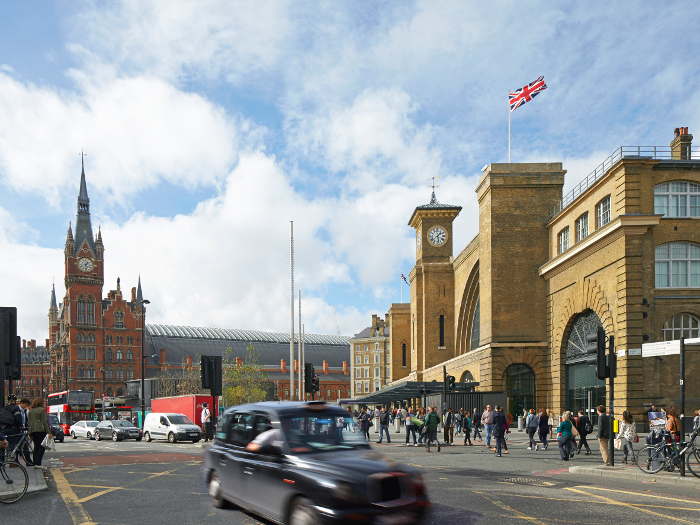 Pugh is working for McAslan with English Heritage on many more London projects, including the Courtauld Institute, Friends House, Wesley's Chapel and Regeneration House (a 19th-century structure with a new name) in King's Cross Goods Yard.